It’s no secret content marketing is evolving at a rapid pace. Status quo is no longer an option. You must stay on top of your game. Yes, there are fundamentals marketers should grasp. But the changes in strategy, creation, and measurement make it clear you cannot allow your career to stagnate. You need a competitive advantage. Whether you are in the mature stage of your career or just starting, professional development is critical. What follows is a brief look at her discussion with our community. Looking for more questions (and answers) from the chat? Check out our Twitter Moment (part one and part two). 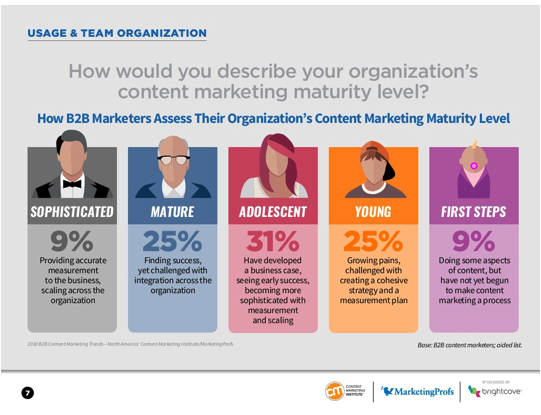 How do you know if your content marketing skills are up to date? 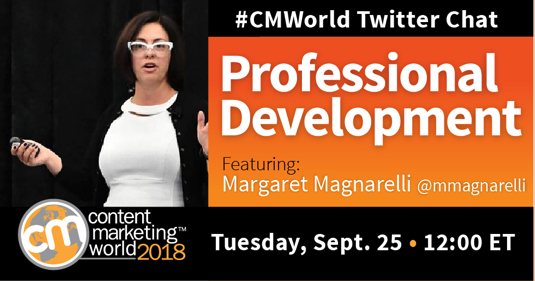 How can you apply what you’ve learned to market your professional development? Did this chat motivate you to take your career to the next level? We offer continuing educational opportunities too. The doors to CMI University are open, but fall enrollment ends soon. Don’t miss out on curriculum led by Robert Rose and dozens of the industry’s top pros! Register today.